Doc Martin’s live sets truly bring people together. The variation in his style of music is endless. What makes him so different from the rest? A unique ability to spin everything from deep house vocals that have much depth and meaning to us all in some way, to his funky tribal Bass lines mixed with threads of acid, his passive collection of classics rare records that are only to be heard at his gigs. 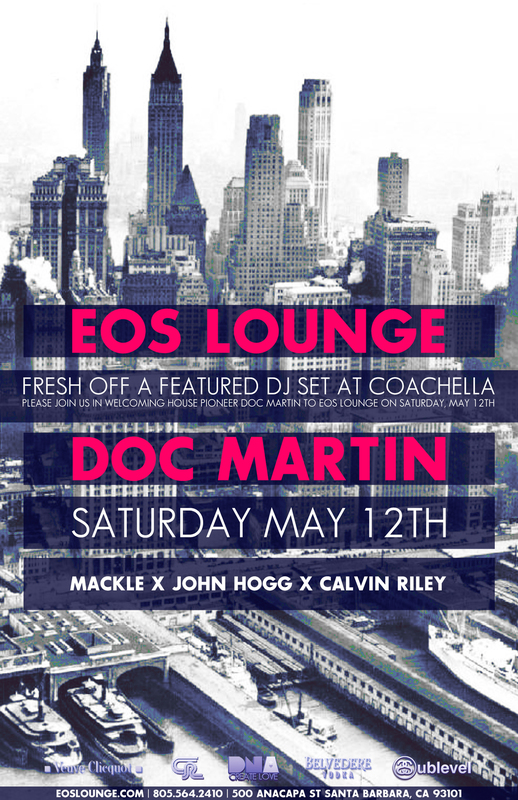 Doc Martin has developed the respect as a house DJ that so many of us admire. It is this respect that keeps him constantly touring; from New York to London, Japan, and everywhere in between.